Saw this on Pinterest and had to pin it for a Translation Tuesday. 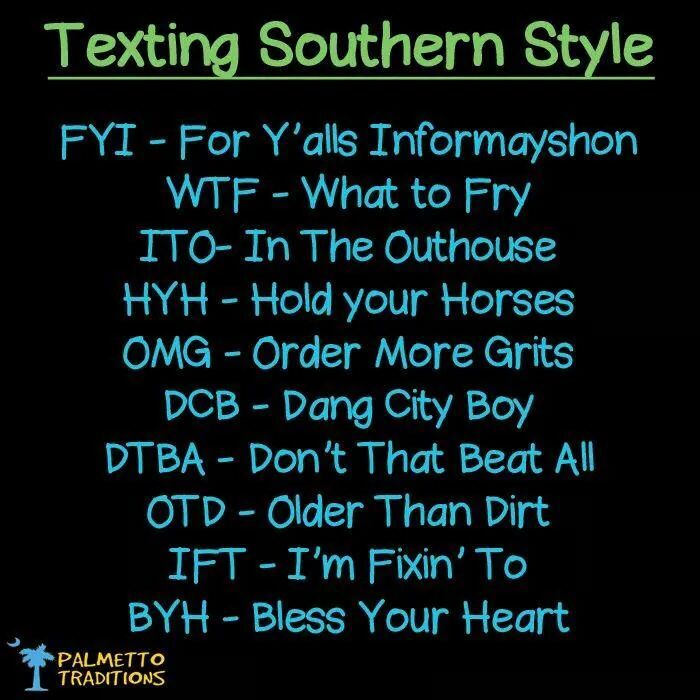 A listing of texting acronyms for southerners! I should point out that I have only used BYH: Bless Your Heart. Even then, this gave me a good laugh on this crazy Tuesday!